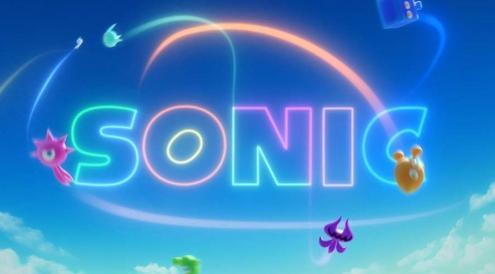 The announcement of Sonic Colours for Wii and DS was a bit of a bolt from the blue (pardon the pun), with just a rendered trailer and short press release to go on. Now with the cat out of the bag the first proper information is starting to trickle through, with a Nintendo Power interview with Sonic honcho Takashi Iizuka revealing plenty about the upcoming adventure. The Wii version is being developed by the same team responsible for the decent Secret Rings and not-so-decent Black Knight Sonic titles, with the DS version created by Sonic Team with help from recent handheld hog helpers Dimps. Iizuka himself will be overseeing both titles, but in a more supervisory role than first thought. I feel we really succeeded in embracing our core concept of “100% pure Sonic style high speed action. With the platform sections primarily taking place in 2D, with wide open 3D spaces reserved for faster gameplay, this could be the title to fulfil the early promise displayed by Sonic Unleashed, but we're remaining reserved until some hands-on time at E3 in a few days' time. Until then, check out the magazine scans at TSSZ News and keep your fingers crossed that this year the Sonic Cycle will finally be broken. Only the Wii version is being made by the team responsible for The Black Knight. So even if that did mean Sonic Colours Wii will be utter garbage, the DS version still has a chance at being good. Does that developer even know what '100% pure Sonic style' means? I thought Black Knight was great, only hindered by the extremely moronic choice to have the waggle be the sword swing. Sonic? No, I'm not thirsty. This is going to be ****. First of all, being made by the guys who did Sonic and the Black Knight and the Secret Rings is not a good sign for your game. Second, Sonic 4 hasn't even come out yet and yet Sega decides to go ahead and release another Sonic game around the same time Sonic 4 is expected to be released which is late 2010.WHY!? Why would you do that? Most people are going to want Sonic 4 compared to this. Finally, once again Sega is using another stupid gimmick in their Sonic games with these creatures called Wisps. Just keep it simple! It took Sega this long to figure it out for Sonic 4 and yet their going back to their old ways with this. I'm liking the looks of those screens. I'm still not confident about Tails' inclusion, because I'm sure they'll have a separate game for him probably using the Werehog engine. Your one of the few that could actually stand Chip. Most people I know including reviewers hated Chip including Lee from Still Gaming and the entire Screwattack crew. In fact Chip was one of the biggest complaints against the game along with the Werehog. Sonic Unleashed is much better than the storybook games, but it could've been so much more had Sega kept it simple with just the daytime levels. Also, one of my biggest complaints was having to collect those Sun and Moon medals to proceed to the next level. I know not all versions of the game had this, but it was so annoying having to collect these and some of them were hard to find and I wasn't having any fun collecting these which makes me wonder why Sega decided to get rid of this in some versions, but keep it in others. If it's like a bunch of beefed up unleashed daytime levels then yes, technically it COULD be good. @pixelman - Its confirmed only sonic is playable. Also the screens look pretty good. The DS Version is essentially Sonic Rush 3 and the Wii version looks like the daylight stages on Unleashed with alot more 2D. The DS version could be good but I'm not so sure about the wii version. I haven't played sonic and the black knight but sonic and the secret rings was terrible. @jackaroo If the wii version is like the daytime stages of sonic unleashed then maybe it could be good. I'm trying to keep my expectations low. Don't get me wrong, this game looks awsome! I think Winslow there has the right idea -- keep your expectations low. The screens look good and it sounds like there's potential, but they've gotten us before. That said, we may be rounding a corner here. Sonic Unleashed's day levels definitely showed promise in that the developers had an idea on how to make something decent. With Sonic & All-Stars Racing being better than expected and Sonic 4 on the way, things actually might be looking up for the Sonic brand. And with THAT said, I defer to what I first wrote. Pfft. I don't care what anyone says. To me, Sonic Unleashed proved that there's a Sonic game that can stand toe-to-toe with a Mario game. But yeah, I hope they start making it soon.
" I feel we really succeeded in embracing our core concept of “100% pure Sonic style high speed action" "
Let’s just wait, see, and hope for at least a decent game. Not surprised to see nitpicking already going on here, people are already saying its crap just from the developers, (FYI, I know quite a few people which Black Knight is one of their favorite Sonic games.) when I doubt most of the people here even played BK. Probably just went over to Metacritic. and said "Oh its crap." Also about the gimmick thing, do you guys even know what the gimmick is? They haven't even said what it was and you guys are calling it lame, they only thing they mentioned is that the wisps will give Sonic new powers, which sounds no diffrent than Mega Man. i dont know bout the others but.. i enjoyed Sonic and the Black Knight. the graphics were damn amazing, and it was just hella fun... as for Sonic Unleashed, had they keep the game to Sonic levels only it wouldnt have been so bad. STOP SAYING, "From the same people who did Black Knight? This is going to be lame." WE GET IT! NOT MANY PEOPLE LIKED THAT GAME! FROM THE CREATORS OF BLA....nevermind Well, as long as there's no useless waggle in the Wii version, I'm okay. The Sonic cycle is in full force yet again. Other than the sonic cycle, there IS the rinse cycle and the spin cycle. But we all know by now that the Wii is the dumping ground for third-party shovelware. So don't get TOO excited, people. I also though the Black Knight was an decent game, certainly preferred it to Secret Rings and Unleashed. I was leaning towards the ds version anyway. I hope the wii version makers have learned from their past mistakes. Another promise of "back to basics". I still don´t dare to hope for this one. @LEGEND-MARIOID: Yeah, Black Knight wasn't great, but it was good enough to give me some faith in the series. Granted it was nowhere near as good as a Sonic Adventure, but it was still fun. I'd be surprised if this one just outright sucked. Secret Rings was such a good idea, and its execution was a'ight. It suffered from the crappy ring leveling system though, because it wasn't balanced for all the powers you could equip. You could actually run PAST scripted events if you turned on all the unlockable speed powerups, which would break the game horrendously. Also, it began terribly, because you need to level up Sonic's controls and speed to get him somewhere that's responsive. Too many bad ideas and bad execution really brought that down. Unleashed though was a massive improvement. Like Burnout mixed with a platformer. Its the only 3D Sonic game to have polish at all. No clipping through walls, great controls, great mechanics (the drift and slide kick need to be in every Sonic game going forward). Unfortunately, 70-80 percent of the game WASN'T that stuff, and was that werehog stuff. Which was an okay brawler, but repetitive as heck...and not Sonic in the least. Here's hoping they've really learned a thing or two since that game. I'm sure it'll be better than their past games though, simply because it wasn't annualized. Those last two wii exclusives came out in February and needed more time in the oven. This game has clearly missed that release, and Sonic 4 was delayed too - SEGA knows they need to polish their Sonic games going forward, and these latest games HAVE been in development for longer than usual. Good luck to it. It seems that SEGA has been trowing the phrase around alot these days. Mildly hopeful. Sonic Galaxy -der, I mean, Sonic Colors has, like, 1% information right now, so who knows? I'm hopeful - personally, I enjoyed Sonic & the Secret Rings and Sonic Unleashed. Black Knight? Not my favorite, but it had its likable elements. Viva Sonic, and here's hoping! Screenshots like really nice! Perhaps they have finally put together the good parts from the previous games (Secret Rings, Black Knight) and removed all the bad to create something excellent. As a long time Sonic fan, I won't give up hope yet. All I've ever wanted a console Sonic to do these days is to not just "try", but "try hard" at being good. Sonic's supposed to be reputable, top tier platforming right up there with Mario, but most of what we've gotten is "...ok..." games, good enough and long enough for perhaps a good rental, but not the stuff built to remain in one's collection til the end of a system's life. Look at Mario Galaxy 2-- THAT game is collection material. All people have wanted is for SEGA to stand up for it's mascot and pour the resources into making a console Sonic BRILLIANT, so I wholeheartedly understand the negativity here. Agreed, I've personally noticed a changing tide lately and Sonic Unleashed I think is a GREAT step in the right direction, but we need MORE of that, TIGHTEN up the gameplay, and MAKE it a worthy purchase that not just diehards, but ANY gamer would want to have in their collection.